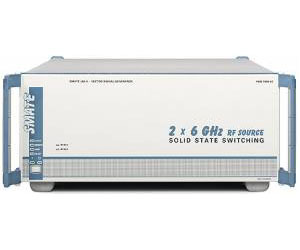 The R&S SMATE200A is based on the successful R&S SMU200A but is specifically designed to meet production requirements. It comes without a display or keys on the front panel, and its connectors are located at the rear. In addition, it is optimized for faster setting times in order to reduce test time.